Supervising the Health of Pupils. The Difference Between Being and Having. Third Prize Essay. Child=study: The Teacher’s Privilege and Duty. 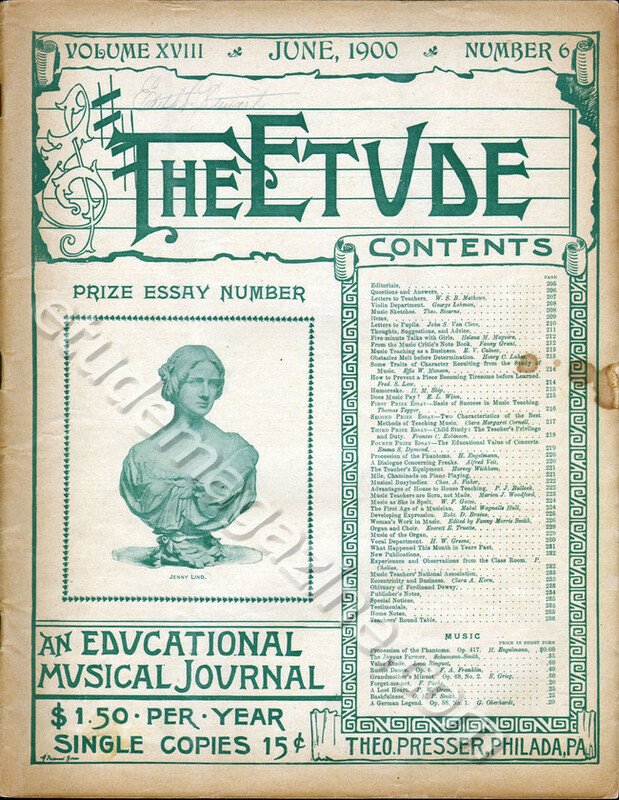 Fourth Prize Essay - The Educational Value of Concerts. The American Violiniste At Home. Jenny Lind. Prize Essay Number.